I had Jeryl help me purchase a Shimano Sephia c3000sdh ci4 a couple of months ago; also added some Varivas EGI PE 0.8 suspend. 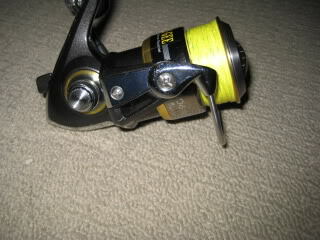 When I received the reel it had been spooled up and ready to go. I had originally matched it up to my majorcraft raycal 7'9el and it was a match made in heaven. It was near on perfect once again. The reason I had chosen the DH model was due to the fact that the double handle balances the entire outfit and makes it easier to work the egis and then easily find the handle to take up any slack line. My initial thoughts of the Sephia was that it resembled the Shimano Fireblood (colour wise) but on close inspection there are a lot of differences. Firstly of course the material used and that’s where the similarities stop. The only other thing that is the same is the use of the Eva knobs. 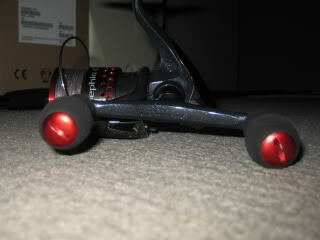 To my understanding it is a carbon/metal composite material similar to Daiwa’s Zaion material. The reel comes in at 200grms, and the lack of weight is very noticeable compared to my previous Eging reel (Daiwa E-Gee 2506). 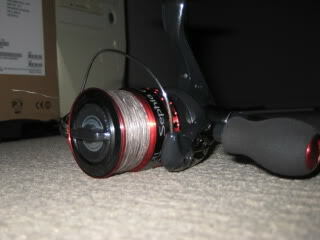 The overall feel of this reel is that it is very smooth from the factory, it features 8+1 bearings. Holds 150m of 0.8pe, 3.5kg max drag ARC spool and comes with an aluminum reel stand. Thanks to a very good friend of mine I was given a Yumeya Sephia reel stand, which matches very nicely. The only thing that I am disappointed about is the lack of a bearing supported spool, it runs the “old school” style of shaft which has a small toothed washer and smaller rubber washers. Even without a bearing to support the spool, it is still very smooth when line is peeling off. Overall I am very pleased with this purchase and would defiantly recommend this reel to anyone wanting a mid-high end dedicated Eging reel. Note this is review is based on my own opinions. Location : Hong Kong!!!! !and i wish everyones were here!! 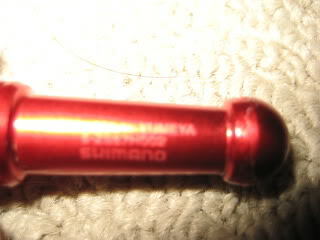 andy wrote: My initial thoughts of the Sephia was that it resembled the Shimano Fireblood (colour wise) but on close inspection there are a lot of differences. Firstly of course the material used and that’s where the similarities stop. 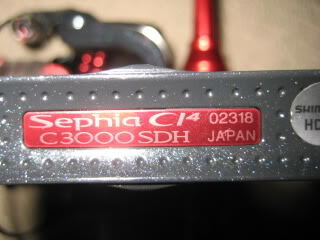 The Sephia Ci4 C3000HGSDH is based on the Shimano Stradic Ci4-F, main differences inside are that the quality of the bearings some being 2RS, the quality of the main gear being similar to that of a Stella (cut and anodising quality) and the spool being shallow and the double paddle handle. 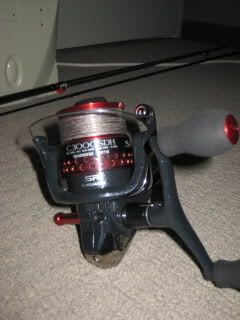 Internally a solid reel and the exterior being fully exchangeable with AUDM Stradic Ci4 parts.